I was simultaneously dreading and looking forward to recording the D major Sarabande. Dreading it because it’s the movement I find the most difficult of any in the entire Six Suites, and looking forward to it because it’s my absolute favourite Bach movement in his entire oeuvre. For some reason the Sarabande has always powerfully reminded me of the Sonatina to Bach’s Cantata BWV 106, Gottes Zeit ist die allerbeste Zeit. The texts of the movements are based on parts of the Old Testament and deal with the idea of preparing for death and, I suppose, submission to the will of divine. It’s my favourite of the hundreds of cantatas. In fact, I’d really love it if it were played at my funeral, in that far-off day when I expire peacefully in my own bed at the age of ninety-nine. I’m embedding a YouTube video of the Gottes Zeit Sonatina here as a preamble to the Sarabande. It isn’t my favourite recording (for the best, most heart-crunching one ever, the one that’ll have you sobbing on the floor on your knees, I recommend Ton Koopman’s with the Amsterdam Baroque Choir and Orchestra, Challenge Classics CC72201), but it gives some idea of the feeling of absolute peace, tenderness, and abandonment of fear that I wanted to bring out in my recording today. How can a dance movement in a major key resonate with topics of death and mourning? 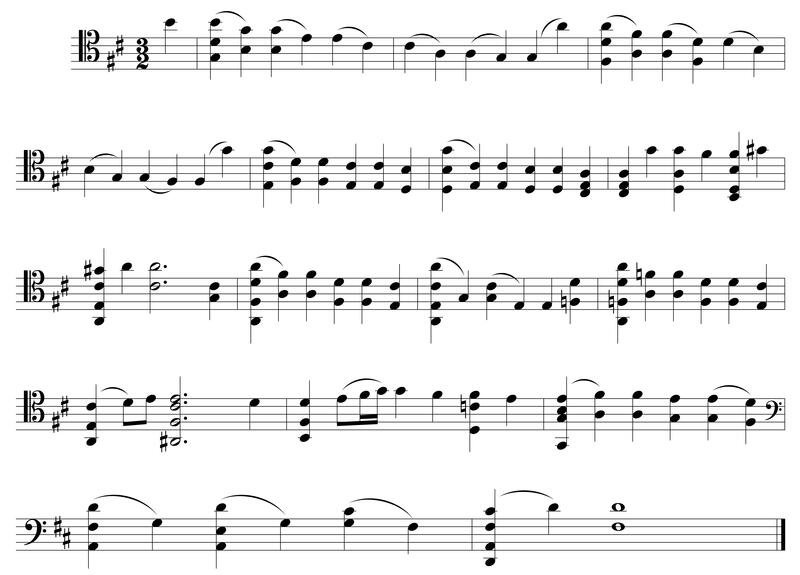 To my mind, it has something to do with the long chains of descending duplets in suspension and resolution that make up most of the Sarabande’s second half. I’m embedding a YouTube clip of this just because I think it’s interesting, but you can skip to 3’53” for the bit I’m talking about if you don’t want to listen to the whole thing. 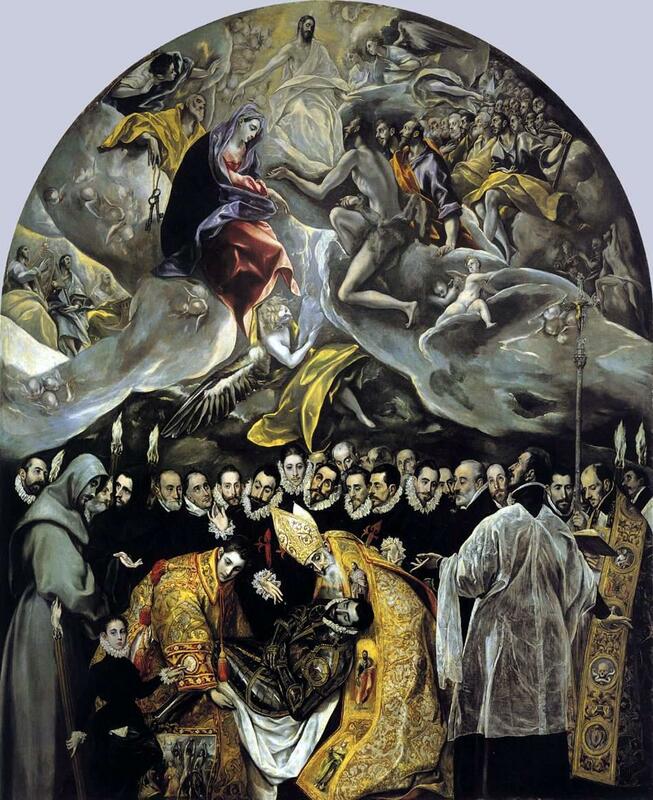 If you will permit me to go one step further in this possibly already extravagant hyperbolic discussion of weeping and mourning, the Sarabande also makes me think of El Greco’s extraordinary painting The Burial of Count Orgaz (1586). In it, we see richly robed priests, the conduits between the human and the divine, bearing the prostrated body of the deceased Count, a nobleman of chivalry and honour, as the heavens open up to receive him. It’s as if in ending life, he has gone back to the absolute innocence of childhood (symbolized by the little boy standing to the left of one of the priests) and is going to be carried back through a symbolic birth canal into the arms of the Virgin Mary, who we can see waiting for him at the foot of Christ. This is a fascinating painting for many reasons, but the one I want to point out is that only one of the living people in this painting (a work which starkly points out the barriers between life, death and the divine) who’s “looking at the camera” is El Greco himself, in self-portrait, standing slightly to the left of the centre and behind one or two other mourners. He stares out at us fearlessly, part of the drama, and yet, as observer and chronicler, an outsider, not part of it. That’s the person the performer-interpreter has to be. Today’s practice list: D major Sarabande, Gavottes I & II, Gigue.